Big Ideas Learning Debuts NEW Websites! Big Ideas Learning is excited to announce the debut of our website, BigIdeasLearning.com, and the redesign of BigIdeasMath.com. 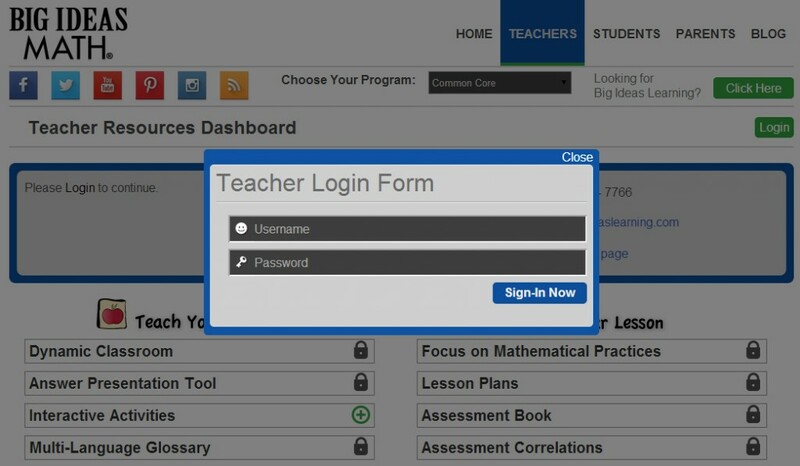 Currently, when a visitor goes to BigIdeasLearning.com he or she is redirected to the Big Ideas Math companion website, BigIdeasMath.com. 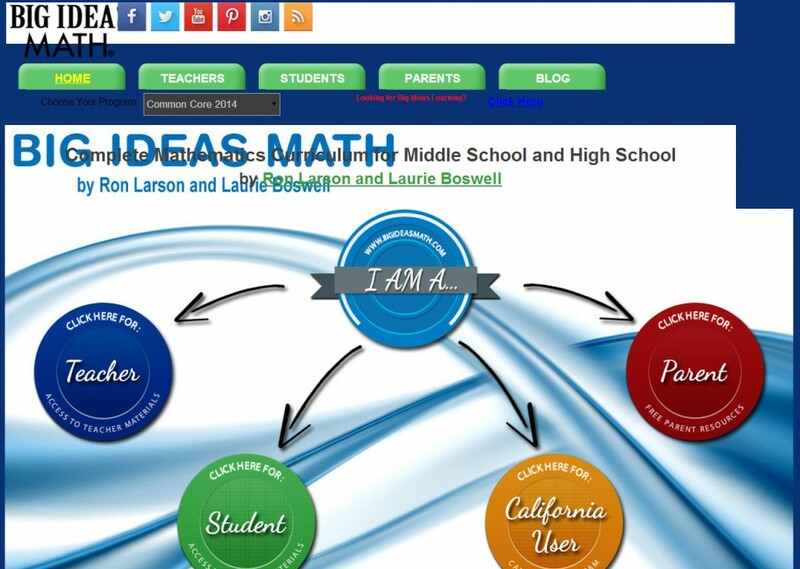 Beginning on Saturday, April 5th, BigIdeasLearning.com will now feature information about the Big Ideas Math program, Big Ideas Learning Professional Development, and the Big Ideas Math Blog. 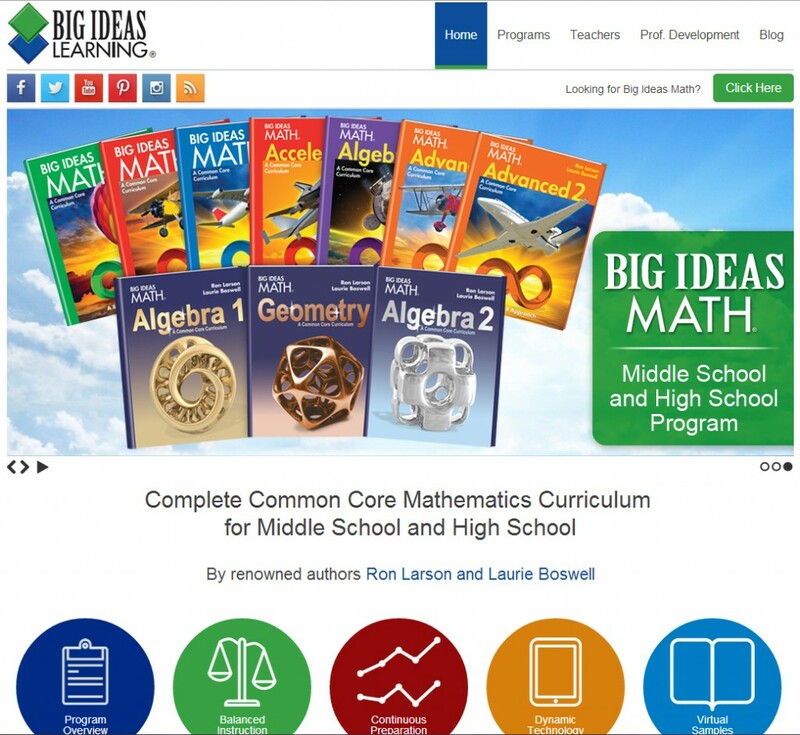 To coincide with this release we have also updated the Big Ideas Math companion website. The new website will feature a sleeker design, but will include the same functionality and familiarity of the current website to allow teachers and students continued ease and access. To access all of your Big Ideas Math program resources, choose your role from the homepage OR select the “Teachers” or “Students” tab. From the teacher view, once you are logged in, you will have full access to the Dynamic Classroom and all of the other resources on the website in the same area you have become accustomed to. Students can login to access the Dynamic Student Edition or can view the Easy Access Home Edition without a username and password. Thank you for being a Big Ideas Math program user and we look forward to continuing to provide you with the latest technological resources to enhance your 21st century classroom experience. If your page looks like this, please empty your Cache to refresh the saved styles on your computer. As always, the Big Ideas Learning technical support team is here to assist you if you need any additional guidance.You can contact technical support from 8:00am to 5:00pm EST Monday through Friday by calling (877) 552-7766. You can also e-mail technical support 24 hours a day by visiting www.bigideasmath.com/support. A member of our support team will reply within 24 hours. 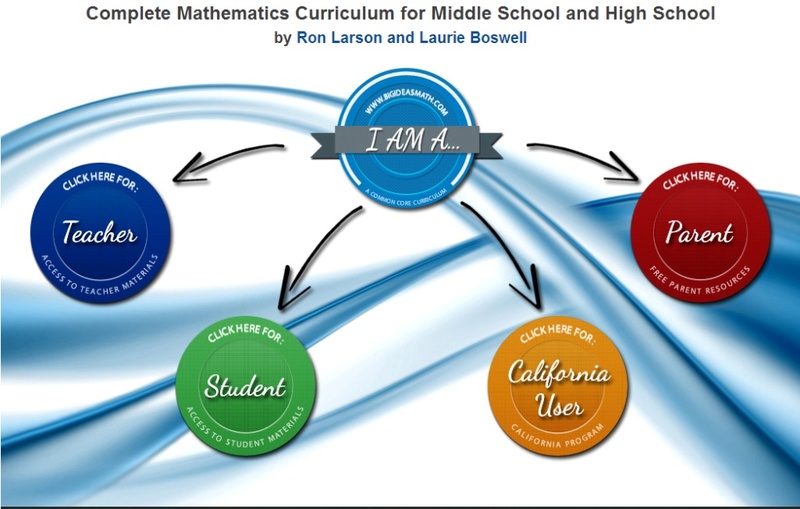 This entry was posted in News and tagged 21st Century Classroom, Big Ideas Math, Depth of Knowledge, Standards for Mathematical Practice, teachers by Big Ideas Learning. Bookmark the permalink.